Now is the time to become a super sleuth! 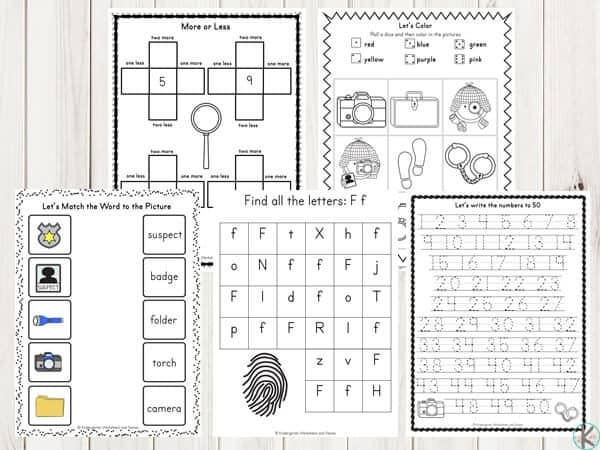 Children will have a fun time searching for the correct answers while working on their math and literacy skills while working on this awesome 69-page Detective Printable Pack. 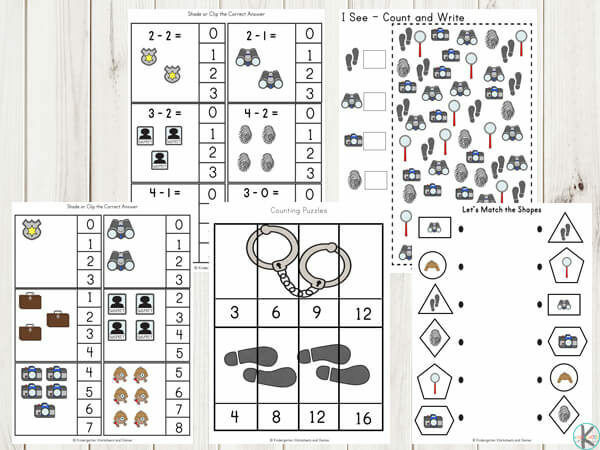 This Detective Printable Pack contains over 60 pages and is so much fun for little sleuths in training. Inside this pack, you’ll find many different math and literacy activities, handwriting practice, puzzles, and much more! 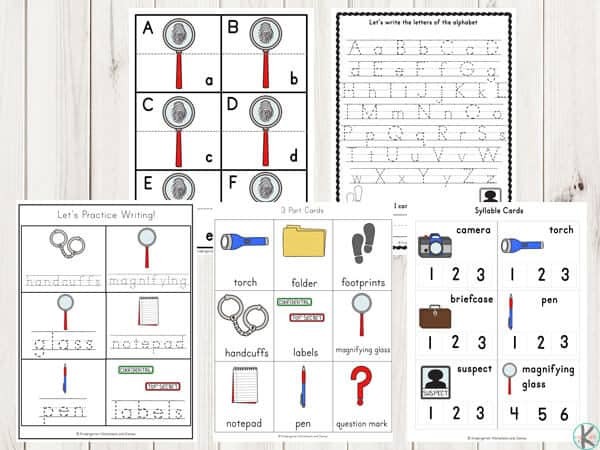 Included in this printable pack are many math and literacy activities that will need supplies such as paperclips or pegs, a highlighter, crayons or coloring pencils and scissors. This pack is very easy to prepare with most of it including no-prep activities. 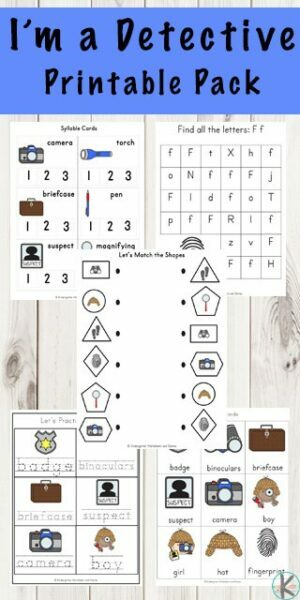 •Trace the Letters of the Alphabet –Trace the uppercase and lowercase letters of the alphabet. •Trace the Numbers –Trace the numbers from one to fifty. •I Spy – Count the Objects– Count the objects. •Counting Cards – Shade the answer or cut out, laminate and use a peg or paperclip to clip or place a pom pom or candy onto the correct answer. •Size Sequencing Cards – Cut out, laminate and place in order from largest to smallest or vice versa. •Cross the Odd one Out – Cross out the object that is different. •Cut and Paste the Pattern – Cut out and paste the answer in the correct spot. •Write and Color –Write the word then color the picture. •Color Matching Cards –Match the color; a great way to learn colors. •Shadow Matching Cards –Match the picture with its shadow. •Match the Shapes –Draw a line to match the shapes. •Match the Pictures –Draw a line to match the pictures. •Match the Picture to the Word – Draw a line to match the picture to the word.